Hi. I have been browsing through the pc section here and thought I would give it a try. My first attempts were not successful for various reasons. Went and bought a new toaster oven and made sure it could hit 400 degrees. It does. Well I am all excited and tested three bullets. Powder went on fine using the dry tumble method. Carefully put them in the oven upright. Got the oven to 400, set the timer to 10 mins, walked away. Alarm goes off, I walk back to the oven anticipating nice blue pc bullets. What I had instead was three puddles of melted lead????? I know my oven can't possibly go to over 600 degrees to melt lead. I realize the bullets are not pure lead, I don't know the mix used as they are commercial products. What happened? I am totally mystified by this. Needs to be a convection oven and they can get over 400F easily. Turn on the oven and look at the heating elements. If there is no heat shield over/under the elements, the bullets are looking directly at those ultra hot elements radiating heat directly onto the bullets. The worst thing to do is to put bullets into a cold oven and expect it to immediately get up to 400F and start melting the powder into a nice coating. Those elements are either on full blast or off completely so as you heat up the oven, they are on full blast. If you put the bullets into a pre heated oven, the elements will only turn on to maintain the 400F setting which will be for a short time the first time you open the door, then in very short bursts to maintain 400F due to heat lost from the oven while it sits there. This looks bad but you can actually see a heat shield under that fiery heating element. You can image this inferno will melt a tray of bullets in short order if it is turned on continuously while trying to heat up a cold oven + bullets from room temperature. If you had a non-contact temperature gun, you might be able to read the temperature of the elements but I'm sure if you held a piece of paper against one of those elements while it's on, it would catch fire pretty quickly (paper ignites at 451F). My 2 toaster ovens are straight cheap ovens @ < $3 through Goodwill but both have heat shields underneath the top element so it doesn't look directly at the bullets. Last edited by rsrocket1; 04-11-2018 at 06:39 PM. I have melted them too. Got an oven thermometer and checked the oven. 550 degrees! Check it and you can adjust accordingly. Let it stay their a while to check it over time. Popper has the correct answer, I finally got the Big Oster Convection oven at WalMart. I holds temperature very consistently. I had to set it 410 or so to get 400. Once I set it is good to go. 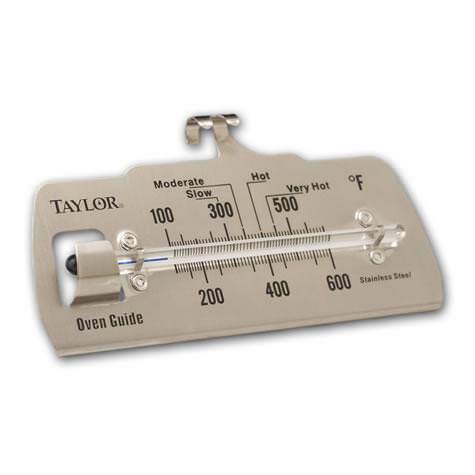 Oven thermometer is a must! I too have a Oster convection oven and I have to set the dial at 350 to get 400. after finding the set point on the dial I just turn it on to warm up and it stays right at 400. Have a PID but don't need it on this oven so far. Put your thermometer in the oven and let it warm up and stabilize at 400 while you are coating your boolits or casting or whatever. put your coated boolits in and keep a eye on them until they start to look "wet" and then set your timer to whatever time you prefer. I cook mine 20 min as that is what the powder company designates is optimum cook time and have not had a failure yet. You were correct to only do a few at first to see your results. After the first good batch you will be hooked and start saving money like the rest of us LOL. Last but not least is use quality powder you know will dry tumble like from SMOKE and you will get consistent results if you hold your mouth right,use airsoft black bbs and #5 tub and humidity is not high. Get a convection digital oven like the Oster I have. Maintains 4F anywhere in the cavity. Since it is a convection, you must set 25F higher than the temp you want. True for all convection style ovens. Yes, you CAN melt boolits OVER the heating elements!!!!!! Been there done that. Cheap standard ovens can easily have hot spots and are not good for what we do. Those that use them are just lucky to get them to work successfully. Hope you figure out your “gremlins”. PC is the ONLY way to lube boolits!!!!!!!!! I have been doing it for years now. No grease, not leading, not sticky boolits, no cleaning yur barrels all the time. I used my lead thermometer to set mine, just set it in the oven. I did this after making puddles myself. I uae the cheap walmart special. As noted previously those elements are on for full force or off. Heat has to radiate throughout and have also melted the bullets by accident. Now i just watch it and fiddle with knob to find a sweet spot. My toaster oven has a bake setting with no temp control where only the bottem element comes on. Then it has temps but both elements come most likely on a thermal switch to turm then on and off. Thought of wireing in a pid but i can watch it and fiddle with knob and make it work. Mostly i put it on bake till its at temp then the bullets go in and rotate the temp knob till the elements turn off. It will stay pretty stable after that. Just got to watch it. Thats a good idea to out some deflectors in there to prevent the bullets from taking direct heat. Last edited by Rcmaveric; 04-11-2018 at 10:36 PM. Thanks for the ideas and info. I uae the cheap walmart special. As noted previously those elements are on for full force or off. Heat has to radiate throughout and have also melted the bullets by accident. Now i just watch it and fiddle with knob to find a sweet spot. My toaster oven has a bake setting with no temp control where only the bottem element comes on. Then it has temps but both elements come most likely on a thermal switch to turm then on and off. Though of wireing in a pid but i cant watch it and fiddle with knob and make it work. Thanks everyone for the replies and suggestions. I have a digital convection oven coming via Amazon. I didn't realize that the cheapy ovens could get so hot. Back to the drawing board for me! You gotta remember what those cheapo ovens are for.............cooking BIG dishes of food. Our little boolits heat up real fast and can melt if over/under the elements. Large pans of food heat up very slowly and absorb the over-heating easily. Teeny little pieced of Pb do NOT! Good luck with your new oven, I got mine 2 miles away at a Super WalMart. How did you 'make sure'...did you use one of these? A toaster oven will be a problem. I melted bullets several times with two different toaster ovens before finally going to convection oven and setting temp with addition oven thermometer and double checked with thermocouple. Some things I learn the hard way, some the easy way by reading this forum. Second thing I learned was to look at time required for oven to come up to temp with a full load and add to vendor recommend Cook time to. Fully cure on every cycle. I found one of the Otis Spunkmeyer ovens on Craigslist. I can not get it to go above 350. This is after removing the front cover and adjusting the thermostat to the highest level. Any recommendations or advice on changing the thermostat to get it hotter? I would love to be able to use it because you can get a bunch of boolits inthere at one time. Probably the only thing you can do is to convert your old oven to a proportional integral derivative (PID) control with a K thermocouple to monitor the internal temp. Still no guarantee it will work for what we need. Best bet is to forget buying old 2nd hand junk and just buy a NEW Oster digitial oven at WalMart and not spend hours messing with and converting junk to something that may (or may not) work. I pait around $80 for mine locally. Good luck with your oven. Banger, the main reason I got it was that someone on the forum was using one. It works great for cookies. we did several batches in it before I had a chance to do some PC in it. I have a couple of smaller ovens I was just hoping to get mass production done as I can easily fit 300 or more in it at one time. Unfortunately I understood nearly nothing of the first line of your response. I'm an auto tech by trade, I understand electrical systems pretty well but not electronics. I feel pretty sure the thermostat is what's limiting the temp not the heating element. It is convection. Get the big Oster and you will be able to do 300 at a time. I did and I am happy with it. I built a PID to use with it but like Bangerjim I found it maintained temperature without the PID. Since I had the PID I am now building a 70 lb. bottom pour pot. Can't let that PID go to waste you know. Just finished my new casing bench too! Put a Golden Rod to heat my mold cupboard too.